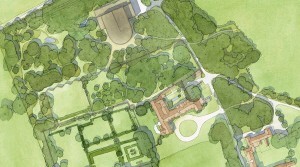 West Horsley Place is our most talked about assignment of the past few years. 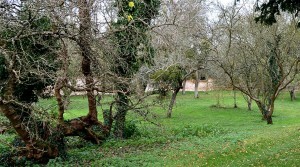 This ancient estate with 300 acres of open land, Grade I listed house and further 8 Grade II listed buildings in its immediate vicinity, its formal gardens, 300 year-old walled orchard and woodlands are located in the Surrey countryside near Guildford. 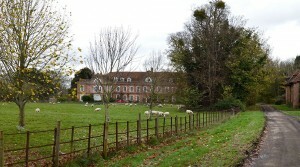 The attention of locals and the press was roused when University Challenge quizmaster Bamber Gascoigne inherited the estate from his great-aunt and godmother, Mary, Duchess of Roxburghe. 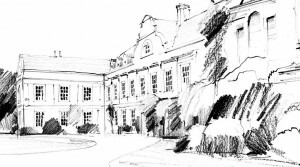 He set up the Mary Roxburghe Trust for the purpose of restoring the estate to health, preserving and maintaining its historic buildings and grounds, and through its use for visual and performing arts. 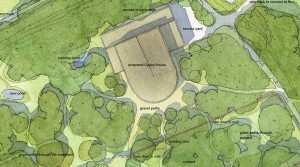 Grange Park Opera have built a new 700-seat theatre in woods to the back of the historic house. 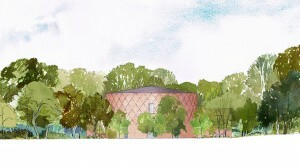 We were delighted to help gain the planning permission with impact assessment and landscape proposals to retain the informal charm of West Horsley Place and reinforce the romantic concept of a building found in the woods. 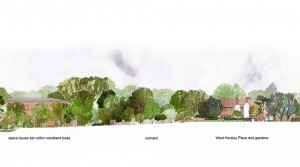 The planning application met with some opposition, due to it being in the Metropolitan Green Belt, but was approved by Guildford Borough Council in May 2016. 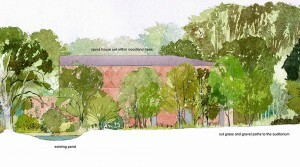 The Trust subsequently received full backing for the creation of a vibrant visual and performing arts and craft centre including our proposal for remodelling the surrounds to Place Farm, complementing the ‘opera in the woods’.